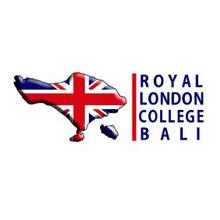 Royal London College Bali is a course and training institute (LKP) as well as a job training institute (LPK) which already has official permission from the Department of Youth and Sports and the Municipal Labor Office of Denpasar with Number 563/65 / DINSOSNAKER. food safety, health and safety at work, first aid, fire safety, customer service and other training that can implemented on our campus or at the place specified by the client (in house). Food safety is a major concern to all businness that have to handle, prepare or serve food. There is nothing worse for the reputation of a business than to give food-poisoning to it's customers! Our Award in Food Safety course provide a comprehensive inroduction to basic food safety standard and HACCP. The course is based on best international food safety practice and is suitable for all staff who have handle, prepare or serve food. This is a practical training course and participants will be continually assessed throughout the session.